In a world seemingly ruled by digital, Korg created an analog sensation with the palm-sized monotron Analogue Ribbon Synthesizer. 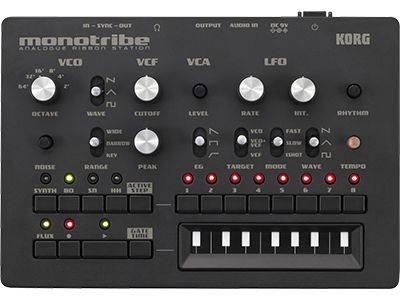 Today, Korg’s next analog innovation came in the form of the monotribe Analog Ribbon Station; a new form of synthesizer that packs an amazing array of features and technology. 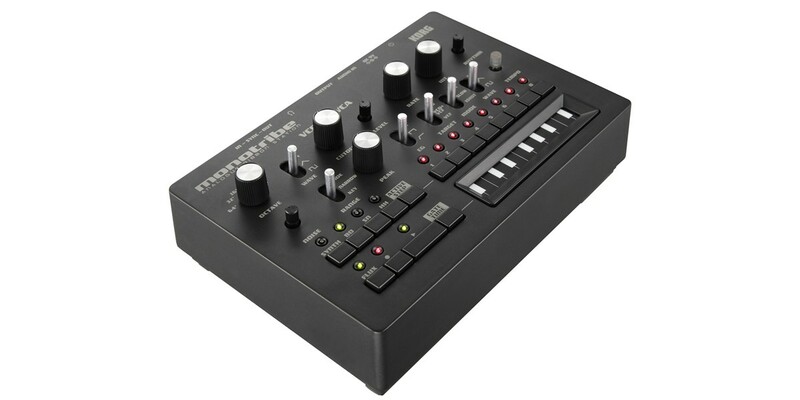 -monotribe shares the monotron’s analog DNA, yet quickly delves deeper into the rich, organic, and often chaotic world of analog synthesis. In addition to analog synthesis, monotribe brings together intuitive ease of use and a three-part discrete analog rhythm section, plus the proven appeal of Electribe-style step sequencing. Complete with built-in speakers and battery power, monotribe is self-contained and highly portable, able to deliver your ideas with style and personality.